One aim of this blog is to raise awareness of all the many conflicts that have been fought on this planet and another one to introduce people to movies from many different countries. My war movie lists are one of the means to achieve this. I’ve done a few lists on movies from different countries like Australia, France and Russia and thought it would be interesting to make such a list for Canada. Canadian soldiers are often depicted in WWI and WWII movies but I couldn’t think of a lot of Canadian movies. I have been looking really hard but all I came up with are three movies, two of which I have reviewed. 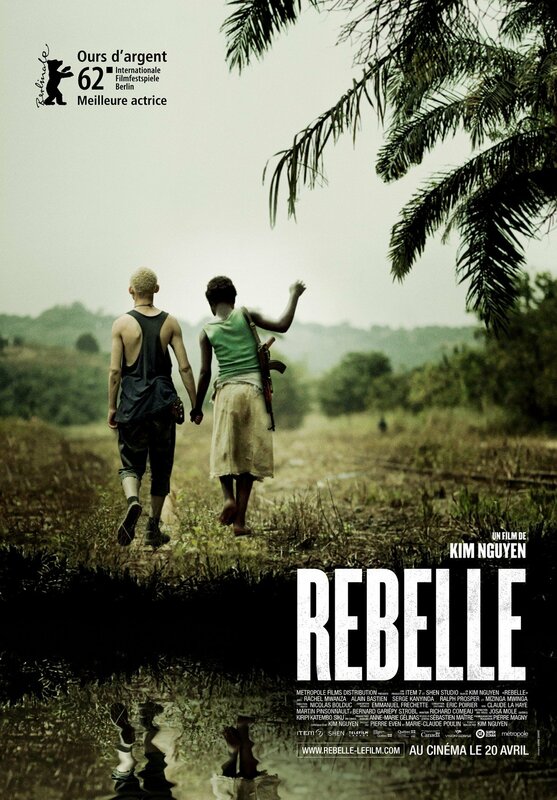 I haven’t seen the third, War Witch aka Rebelle, as it’s from 2012 but it looks interesting. Additionally I found two War Romances for which Canada is one of several co-producing countries. I’ve seen Closing the Ring and as far as War Romances go it’s not bad at all. It’s a Richard Attenborough movie starring Shirley Mac Laine and Christopher Plummer and some other interesting actors. I might review it one of these days. But is that possible? Are there not more Canadian war movies? This entry was posted in List, Movie, War Movie and tagged Canadian war movies, List, Movies, War Movies. This surprises me. I would have thought there would be more, but I guess when you consider that there are not that many Canadian movies in general, it should not be surprising there are few war movies. I found “Passchendaele” to be a decent movie, considering it was made by Canadians. I am not familiar with any of the other ones. Nice try. I appreciate the effort. Thanks but it was that only – a try. Maybe I’m not wrong though since you couldn’t come up with any other titles. I think War Witch looks promising. Self-defence, 1916, Charles & Len Roos. The invasion of Canada by Germany. Call of Freedom,1918, Léo-Ernest Ouimet. The training of a recruit in the Canadian forces. And this isn’t the only controversy in the history of Canadian national memory… See this 1979 news clip about the TV film Riel (Red River & Saskatchewan rebellions). I guess seriously divided memories don’t help to make war movies. However, things may be changing: I hope if you click on the link above you’ll get the same video ad as I did, about the commemoration of the War of 1812. I guess divided memories would really not help but on the other hand you find WWI mentioned in Candian novels, so why not in movies. On the other hand a novelist is a perosn working alone while you need to convince a lot of epople to make a movie. Some directors, unfortunatley a lot of the god ones, would never make a war movie. that said, I suppose we will never find out how Cronenberg would treat the subject. I’ll be loking at te linsk later. Yes, you need a lot of people and a lot of money, especially for producing a war film. Meaning you will also need a large audience, which is often associated with a ‘mainstream conception’ about war and its place in national history (even if you want to take a ‘revisionist’ stance). The climate necessary for those conditions to exist may, or may not, be present in a specific country for a certain period of time. I’ll take the example of Turkey, where in spite of a huge cinema production since the 70’s there were only a handful of war movies produced before 2005. Looks a bit like that in South Korea as well. At least how I see it. There seems to be one war movie after other coming from there. Maybe the Canadian war movie wave is still to come.